Schwab is a full-service brokerage firm that will impress new clients with high touch points, such as quick phone calls post sign-up, responsive live chat features, perhaps the best research in the industry, including proprietary stock ratings, intuitive trading platforms, streaming live events via Schwab Live, and competitive commissions’ costs. Options traders will love Schwab’s options platform that was built with the proficient options trader in mind, and features such as the all-in-one ticket trade feature. Plus on-the-go traders will find Schwab’s mobile solutions, whether Smartphones, Tablets or Watches to be a pleasant user experience. Charles Schwab pioneered low-cost trading that made it possible for the masses to access markets inexpensively, and the strategy of low-cost commissions combined with best-in-class customer service has resulted in Schwab managing well over $2 trillion in client assets. Schwab’s options platform is designed for experienced options traders and includes advanced capabilities, such as Walk Limit that optimizes for the best National Best Bid or Offer (NBBO) price. For investors seeking life planning and retirement preparation advice, Schwab also has extensive support and resource capabilities. As a result, Schwab caters to not only the self-directed trader but the hands-off investor too. Charles Schwab offers tiered cash rewards as high as $500 for deposits. Charles Schwab has an abundance of positive attributes going for it, including high quality research, excellent customer support, low commissions for the most part, mobile trading, and intuitive trading platforms. ✅ Industry-Leading Research: Schwab is known for its industry-leading research that stands head and shoulders above most of its competition, with Fidelity as the lone standout exception. Unlike many competitors who leverage third party research alone, Schwab has its own proprietary equity rating system and an extensive staff of research experts along with third party research from Morningstar, S&P Capital IQ, Market Edge and others. ❌ Mutual Funds Costs: Despite competitive equity commissions costs, Schwab ranks among the most expensive platforms when it comes to mutual fund costs, pricing transactions at $76 per trade. 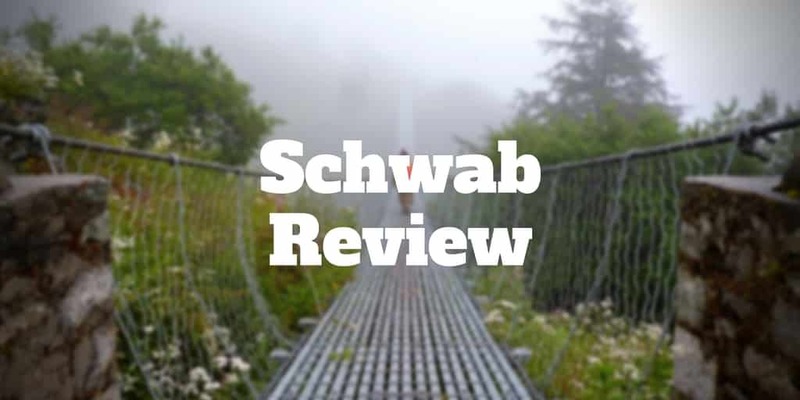 ✅ Schwab Intelligent Portfolios: Charles Schwab’s history of pioneering innovation continued with its launch of Schwab Intelligent Portfolios, a robo-advisor service, which charges no annual management fees nor account service fees. ❌ Real-time Manual Refresh: Mobile apps require manual refresh of real-time data. Watchlists do auto-refresh at 10 second intervals, but this somewhat defeats the purpose of real-time data. ✅ Commissions: At just $4.95 per stock trade and $4.95 + $0.65 per contract for options trades, Schwab ranks among the lowest cost online brokers. Schwab also has low expense ratios for index funds and ETFs. Sales charges on mutual funds that carry loads are waived. Schwab also has a wide breadth of 200+ commission-free ETFs. StreetSmart.com is a good platform for beginner traders though is not as up-to-date as other platforms; it’s based on Java which is not supported by Google Chrome or Microsoft Edge browsers. TradeSource will attract experienced traders more so than StreetSmart.com. TradeSource has intuitive order forms for stocks, ETFs, and options and provides full access to research, technical analysis and portfolio management. StreetSmart Edge targets more advanced traders with screeners, tools and a customizable interface, but is not as intuitive to use as other platforms. Schwab’s ETF Portfolio Builder tool allows investors create diversified portfolios based on risk tolerance. ✅Mobile Trading: On-the-go trading is possible via Smartphone (Apple & Android), Tablet (Apple only) and Watch (Apple only). ✅Customer Service: Schwab ranks among the best in the industry for its customer support with high touch points, fast responsiveness and accessibility via phone 24/7 as well as Live Chat, Email and local branch support. Schwab is a compelling choice as a one-stop solution for beginner traders, active traders, options traders, hands-off investors and just about every trader type in between. Featuring 24/7 phone support, Live Chat, Email and local branch accessibility its customer support ranks among the best in the business. Schwab stands toe-to-toe with competitors like Fidelity and ETrade on commissions costs, high quality research, an extensive range of commission-free ETFs and powerful trading platforms.